Browning air rifles for sale at McAvoy Guns. Manufactured by Umarex, Browning air rifles bring you everything you would expect from the joining of two massive names in the shooting industry. A traditional design with a legendary name. 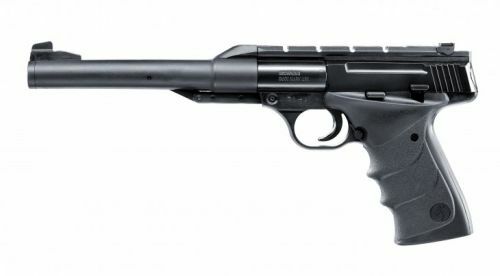 The Browning 800 Mag is a spring-operated air pistol with proven break-barrel technology. This model is easy to operate, sturdily built and features an automatic safety. The long muzzle break accentuates the classic contours. 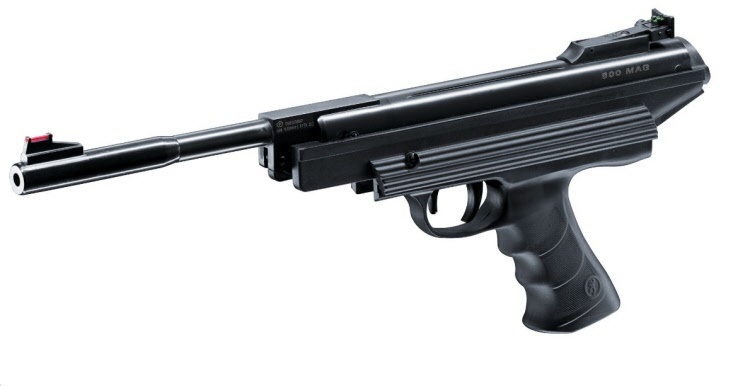 An elegant, powerful air pistol with excellent value for money. Polymer barrel sleeve protects from sweat and increases grip. Rear sight adjustable for windage and elevation.